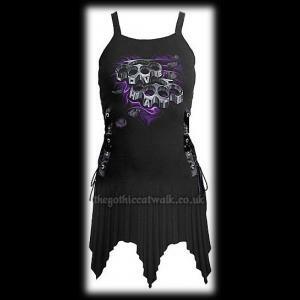 A gothic punk short dress from Spiral featuring a front print of knuckledusters with Love and Hate on each of them. 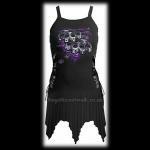 The dress has metal eyelet and ribbon corset lacing on each side with a handkerchief cut pointed floaty hem and has adjustable bra-style shoulders straps. 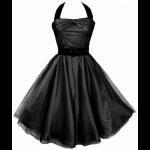 Bust: 34" unstretched Length: 28"
Bust: 36" unstretched Length: 28"